Canvas digital photo printing involves the printing of digital photos on canvas, the most common art media today. Digital photo printing on canvas involves producing prints directly from a computer file rather than from a slide or a photograph without going through intermediate media like film negatives or a colour proof. 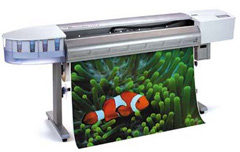 Digital canvas photo printing is most commonly used for on-demand or short-run colour printing. Canvas digital photo printing has got many benefits: quick turnaround times, reduced production costs and ability to personalize documents. With digital canvas photo printing, you can put any or all of your favourite photos on an artist canvas. Superchrome, a leading digital printing company has canvas digital photo printing as one of its specializations. Superchrome guarantees superior colour quality and image definition of all digital photo canvas prints. Our canvas prints are water and scratch resistant and immune to fading. They have a guaranteed life of more than 25 years. Superchrome undertakes canvas digital photo printing of any print, 35mm film, art print or artwork by either scanning it to a high resolution and printing or by producing it directly from a digital photo. Superchrome’s digital photo prints on canvas are a wonderful way of capturing all your treasured memories onto canvas and are excellent gift ideas for your near and dear ones. Superchrome’s digital photo printing services are available on a variety of canvases- 100% pure 340gms cotton artist canvas suited for the reproduction of high resolution photographs, indoor banners and trade show banners; instant dry 350gms artist canvas and the standard 180gms matte canvas paper specially designed for fine art reproductions and photo quality printing. In addition, we also provide a canvas art print stretching service over a wooden stretcher frame. Superchrome has got many years of experience in digital printing services. We have been providing our services to interior designers, hotels, offices, retail chains, independent stores and photographers and other institutions and individuals. When you register with Superchrome, you can be assured of excellent quality, state of the art printing technology, reduced production costs, choice of canvas material (stretched, unstretched or framed ), competent turnaround time, flexibility in size and shape of prints and an option to retouch and enhance the quality of work. Our prints are delivered bubble wrapped if stretched and sent by Royal Mail. Contact us for quotes. We assure a fast turn over time of just two to three days. Our high quality canvas digital photo printing service is very competitively priced. If you would like to know more about canvas digital photo printing, any of the projects shown or if you want to discuss any project you have coming up then contact us 020 7237 9333 or fax 020 7237 9444 or email sales@superchrome.co.uk. Our experienced personnel would be able to guide you appropriately.